Don’t let the “D” word frighten you! Yes, we are referring to Downsizing. When you are thinking about moving in Oklahoma City, thoughts will come up about how much of your stuff you absolutely need. Inevitably, you will begin thinking about some stuff you should get rid of. You may ask oneself how to do it. You may contemplate who will want the stuff you want to rid yourself of. You might mull over if you will feel remorse about getting rid of some of your things. There are many considerations that you can go through when deciding what to discard. You should give careful thought to when you last needed the item. If it has not been out of the closed in a long time, it is probably not something that you need to keep. Contemplate if the item is still useful to you. If it is a piece of clothing like a jacket, try it on. If it doesn’t, place it into the discard pile. One crucial thing to bypass is procrastinating about making decisions. Frequently, this will lead to you keeping more things than you would have. Go with your first thought and decide expeditiously if you should keep the item. Whenever there are memories tied to items it can be difficult to give them away, but the memories will persist even after the item is gone. Garage Sale: This will take some effort but will also get you more back than you would with other methods. 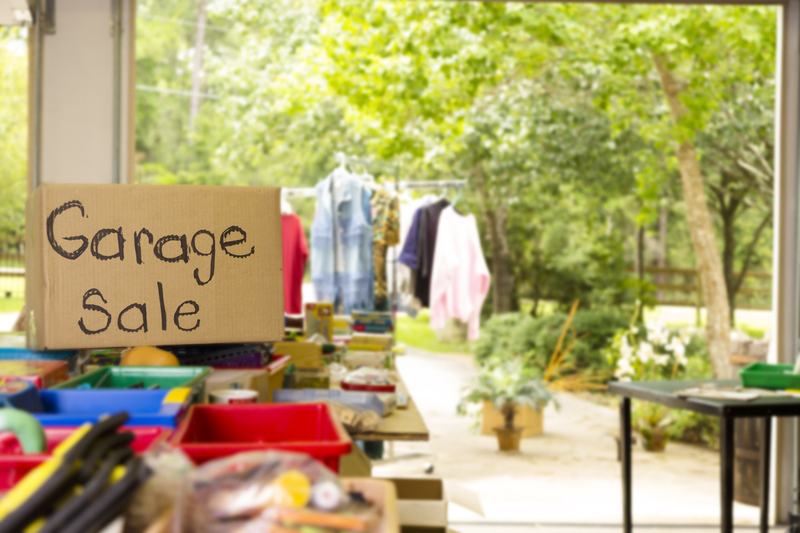 The steps to throwing a successful garage sale is straightforward. To start with, check for any city ordinances in Oklahoma City and homeowner association rules to make sure that you submit to them. Next, price your items a fair price, especially if you will just give them away free of cost otherwise. Next, publicize your sale. You need to have signs placed nearby that will lead shoppers to their destination. It may be helpful to place advertisements online to guide more customers to your sale. Finally, sit back and enjoy making a little money while talking with your neighbors. 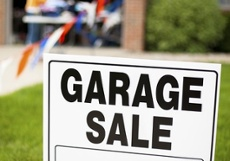 Click the Garage Sale Sign below for a more precise step-by-step guide to planning your garage sale in Oklahoma City. Donate Items: When you just want to get rid of your things, donating your items to a charity in Oklahoma City is a great way to do that. You will benefit a worthwhile cause. You will also help the next person who gets to use your item. It is a great, uncomplicated way to get rid of your stuff and keep it out of a landfill. Some organizations will even come and pick your donation up from your abode. Think about family and friends: If you know anyone in your family who is just spreading their wings, asking if they need any items would be a grand thing to do Otherwise, just spread the word that you are downsizing and you will be surprised that people will come to you asking for items. It will give you joy to give someone something that they can use. Consider a storage solution in Oklahoma City: There will be some things that you will not want to get give away. If there is no room for them in your next location, consider renting a storage locker. This will allow you extra room for those items that you need for day-to-day living. If a storage unit is not in the budget, think about if any family or friends would be able to store items in their basement, garage or barn for you. Re-organize: Some items in your home might be grouped more adequately. For example, if you have many DVDs, you could take them out of their cases and place them into a DVD folder. This will keep the amount of space you are using down, while affording you to keep more. Downsizing your home to get ready for a move will take time. Think of all the time that it took to gather everything you own. Yet, once you have downsized successfully you will be pleased that you did it. You will be able to focus your time on the things you truly cherish and have a need for.